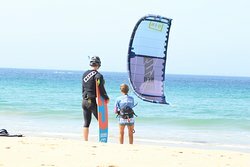 Thank you for your feed back, I m really glad you enjoy your time learning kitesurfing wit us . 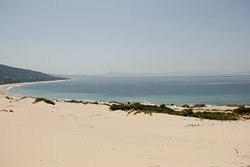 See you again soon in Tarifa for some nice days kitesurfing sharing our passion. 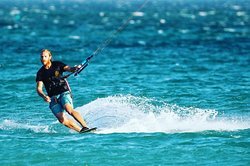 We've always wanted to do Kitesurfing and had heard Tarifa was the place to do it - we were not wrong! 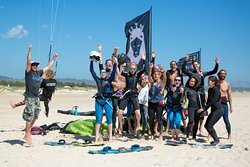 From speaking to people and reading reviews we decided to go with Tarifa Max and it was the best decision - we felt safe at all times, progressed quickly and had the most amazing 4 days kitesurfing with our instructor Vivien, he was so patient, fun and knew all there was to know about kitesurfing - we couldn't recommend an activity in Tarifa more. It was the perfect trip away and we are well and truly hooked, planning to come back as soon as we can! Thank you to take the time to review your experience with us. Hope to see you again soon in Tarifa for some great kitesurfing sessión sharing our passion. For the second time I’m returning to Tarifa and Max kiteschool to continue improving my kite skills. My friend ,who joined me ,went for package of instructions lessons, was really happy with the whole lot Max deliver quality in all areas, instructions, equipment and friendliness. I’ m very pleased with Max and the Instruction given to me. 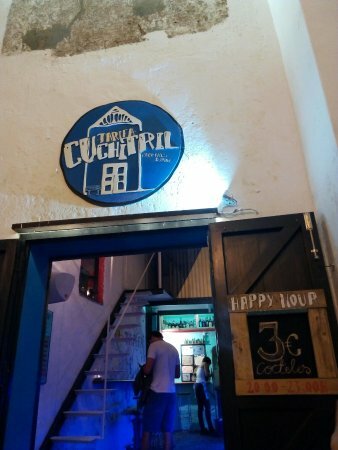 It was a pleasure to see you again in Tarifa and share a sessión together. Had only 3 days, and thanks to Gabriella at Max kite school I had great progress. She was very helpful and corrected my mistakes in a very kind way. It was a pleasure to meet the Max team and I felt very taken care of from all of them. Good equipment as well. I booked 3 hours or day with them and the time did not count until we had wind. Thanks Gabriella, Thanks folks !! It was really nice to see you improving fast every day and at the end of the 3 days getting up wing and independent. Learning to kitesurf with my 12 year old son. These guys are lovely. So patient, careful to explain everything and really 'can-do'. 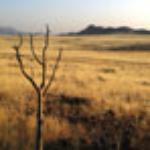 No hesitation at all in recommending others use them too. Beware - kitesurf is addictive! Its really a pleasure to see you enjoying with your son and sharing both our passion. Had a great couple of days learning to kite surf with Vivien only wish I could have had stayed longer! Hopefully be back soon to complete the full course and become a fully fledged kite surfer. Thank you to have take the time to review your experience with us. I m really please you have enjoy your lesson with Vivien and his dedication, in the wáter with everyone to ensure the best progression.